If you’re looking for a change of scenery and want to do something different with your friends then why not try your luck at paintballing? 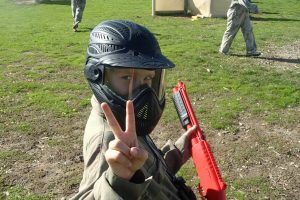 Paintball in Brisbane is not as big as other state capitals, however it is definitely increasing in popularity and will no doubt be one of the fastest growing sports in Queensland before too long. Currently there are two paintball centres within driving distance from Brisbane that we recommend. Skirmish Samford is only 30 minutes from the CBD and offers the very best in outdoor paintball action. The atmosphere at Samford is unrivalled with bridges, tunnels, trench systems and massive forts all scattered throughout their game zones! Scenarios such as The Lost Valley, Ambush and Demolition Alley will satisfy every player’s sense of adventure. 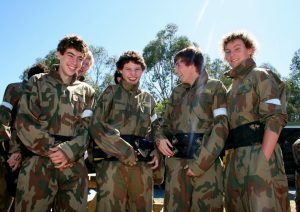 Jack Splat Paintball is located 4 hours north of Brisbane however it makes for a perfect weekend getaway with your friends or family. Located only 15 minutes from Bundaberg, they offer 6 fantastic playing fields; from the up close action of speedball to the realistic experience of bush and gully fields. Whatever your paintballing preference, Jack Splat Paintball has got you covered. The current minimum age for paintballing in Queensland is 15 years. So if you are 15 years or older, round up your friends for an extreme outdoors adventure that will provide you with enough war stories to last a lifetime.